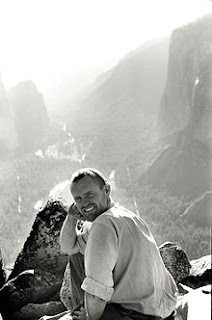 Henry Way Kendall was born on December 9, 1926 in Boston, Massachusetts. His father was an industrialist and he had two siblings, a younger brother and sister. He grew up in Sharon, Massachusetts and attended Deerfield Academy in Deerfield, Massachusetts, graduating in 1945. As a child he had an intense curiosity for things mechanical, chemical and electrical. He attended the United States Merchant Marine Academy, and served on a troop transport ship in the north Atlantic during the winter of 1945-46. With the end of the World War II he enrolled in Amherst College, graduating with a bachelors in mathematics in 1950. After graduation he went to the Massachusetts Institute of technology where he earned his Ph.D. in physics. He did post-doctoral work at M.I.T. and Stanford university then returned to M.I.T. as a faculty member. Kendall's research involved using particle accelerators to probe the make up of the atom. In the 1960s and 70s Kendall worked with Jerome Friedman and Richard Taylor scattering electrons off of protons, neutrons, duterons and other heavier nuclei. These experiments confirmed the existence of quarks, small, sub-nuclear particles that protons and neutrons are made of. Quarks take their name from a line in Finnegan's Wake by James Joyce, and come in two kinds, up quarks and down quarks. Protons are made up of two up quarks and one down quark and neutrons are made up of two down quarks and one up quark. For their work confirming the existence of quarks Kendall, Friedman, and Taylor were awarded the 1990 Nobel Prize in physics. In a addition to his work in physics, Kendall was also an avid outdoorsman, mountain climber and scuba diver. In the 1960s Kendall served as an adviser to the United States Department of Defense. In 1969 he co-founded the Union of Concerned Scientists and served for many years as its chairman. The Union of Concerned Scientists is a non-profit group that advocates sensible environmental and sustainable agricultural policies. He was elected to the National Academy of Sciences in 1977 and was inducted into the American Alpine Club's Hall of Mountaineering Excellence in 2012. He died on February 15, 1999 as the result of a scuba diving accident while exploring an underwater cave in Wakulla Springs State Park in Florida. Kendall, Henry W. and Aasserud, Finn; "Oral History Transcript - Dr. Henry Kendall"; accessed at aip.org.